Vinyl records have always been a part of my life. The way my parents tell it, when I was an infant I’d never go to sleep until they put on an LP of Glenn Gould playing Bach’s “Goldberg Variations.” Nearly 40 years later, I have five versions of that brilliant composition, some played by Gould, some by other pianists, even one played on a harpsichord. That’s right—I’m one of those vinyl snobs. On payday, I regularly stop at one of my favorite shops. And even though prices have gotten a bit insane since the medium’s renaissance 10-15 years ago (some new or reissued LPs cost upwards of $30), I almost always find something new for my ever-expanding collection. I wasn’t always this way. The sci-fi geek in me was fascinated by CD players (they have lasers!) when they first emerged in the ‘80s. I believed all the hype about how CDs are indestructible (they’re not) and “sound better than records” (more on this in a bit). Through high school and college, I amassed a huge collection of CDs. So when records started appearing in stores again, I was skeptical. Why would anyone want to go back to an old, inferior format? It was actually vinyl’s larger-sized album artwork that sent me down this rabbit hole. One day, I noticed a used copy of Black Sabbath’s debut album in a bargain bin. Sabbath is my all-time favorite band, and I noticed that this LP was on their original Vertigo label. I didn’t care about the record itself (I had it on CD, of course). 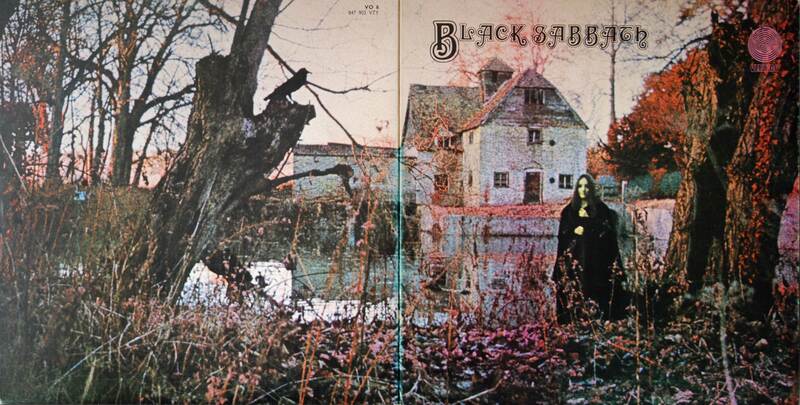 I wanted its killer gatefold cover, with its mysterious woman in black near an eerie, sepia-tone farmhouse. The album got a place of honor on top of my CD shelf, but the record itself remained unplayed. Years later, I got a decent turntable as a hand-me-down. I’d built up a good stereo component system by then, and still believed CDs sounded better than records. But since I had the turntable, I thought I’d give it a shot. When I listened to that Sabbath record for the first time, my jaw dropped. Sure, it was dusty so there were some pops and crackles, but the sound was full—and incredibly detailed. It was as if I’d been transported back to 1969 and was in the studio with the band. By comparison, the CD version sounded thin, like it was being played over a long-distance telephone line. And a $15 investment in a record-cleaning kit got rid of the pops and crackles. I highly doubt my CDs will still work after 45 years, let alone sound this good. Records have grooves physically pressed into them, and the shape of these grooves mirrors that of the original sound wave. The turntable’s needle reproduces this sound when it glides through these grooves at the appropriate speed. You can hear it even if the table’s not hooked up to an amplifier. The table’s outputs (the red and white plugs) send this “analog” signal directly to your amp, and the amp sends it to your speakers. Basically, vinyl cuts out all these middlemen. Now, that’s not to say CDs sound bad. I’d been happily listening to them for years, after all. Albums recorded before the digital era have been remastered with better accuracy (more points on the graph) than when they were hastily converted in the ‘80s. Newer formats such as Super-Audio CDs and HDCDs can store even more accurate data. And with technology improving to the point where gigabytes of flash storage are the size of your thumbnail, CDs themselves may be on their way out and uncompressed, high-resolution digital audio could be the wave of the future. But on the other hand, with a clean record and a solid turntable, records can still hold their own even with these high-tech bad boys. How good your music collection sounds very much depends on what you’re willing to spend on your system. People way more invested than I’ll ever be spend tens of thousands of dollars just for higher quality turntable needles. And if you think that’s extreme, check the prices of some super-high-end turntables (which don’t even include needles). 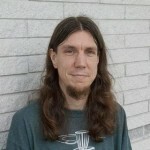 I started building my component system in the late ‘90s. Over many years, I saved money and, piece by piece, upgraded each component, buying used and selling my old gear to cut the cost of the new. All while buying more and more vinyl. I soon got to the point where I realized my vinyl collection was worth quite a bit. I still have my CDs, but used CDs are practically worthless, unlike used vinyl. My stereo components, as well, would be financially impossible to replace all at once if they were stolen or destroyed. So the thought of “starting over” with a new system isn’t something I want to think about. As a result, a few years ago, I called my homeowner’s insurer and bought additional coverage for my vinyl collection and stereo. It’s the same thing people with a lot of expensive jewelry or antiques might do—buying a little peace of mind. Bookworm, writer, and audiophile. Experienced but mediocre disc golfer.